This means high blood pressure doesn’t just place your heart at risk. Every area of your body that needs a steady delivery of oxygen-rich blood becomes compromised as well, including your brain. And even if you’re lucky enough to find that your high blood pressure doesn’t result in a heart attack, it could very well send you down the road toward dementia. It turns out that people who have high blood pressure later in life have more signs of brain disease than those without hypertension. In particular, they have more brain lesions – areas of dead tissue caused by blockage of blood supply to the brain. The thing is that it only takes a small increase in blood pressure to lead to this catastrophic damage. As a matter of fact, the risk of one or more brain lesions increases by 46% when you compare a 14 mmHg systolic blood pressure (top number) against one that is 134 mmHg. So an increase of just a few points can make a huge difference. Even worse, the number of these lesions can increase with age. And, sadly enough, they could trigger a brain-altering stroke. But the cognitive damage doesn’t stop there. Higher late-life systolic blood pressure is also linked with a greater number of neurofibrillary tangles. These tangles occur when a protein known as tau begins tangling around nerve cells in the brain. And they are a key marker of Alzheimer’s disease. If you have plans for a long and healthy life with all of your mental faculties intact and without the risk of a heart attack, it is crucial that you bring your blood pressure under control immediately. That doesn’t mean you have to take hands full of prescription drugs each day. In fact, I advise against that. Not only do they have serious side effects, many of them can actually worsen your prospects for a long and healthy life that is free from heart disease and dementia. Instead, I recommend these three simple ways to get hypertension out of your life forever… with absolutely no negative side effects. First of all, you absolutely must move your body! The more active you are, the more it will encourage oxygen-rich blood flow to every muscle, organ and tissue in your body that needs it. Your blood pressure will drop. Your brain will be sharper. Your heart will pump more efficiently. And even though it can sometimes seem hard to make the time for exercise, you will thank yourself for it when you hit your 80’s with a healthy heart and all of your mental faculties intact. Secondly… seek healthy, sodium-free foods as if your life depends upon it. In small doses, sodium is good for you. In high doses, it will send your blood pressure soaring and rob you of a long life filled with precious memories. Third, add as many nitrate-rich foods to your diet as you can. When you eat them, they go through a process in your body that results in the production of nitric oxide. When nitric oxide is plentiful, your arteries and veins are wide open. Blood surges through them exactly the way it should – without having to force its way through the blood vessels. Leafy greens, like arugula, spinach and kale are at the top of the list. Other foods that are very high in nitrate include celery, lettuce, Chinese cabbage, radish and turnips. However, to get the kind of sustained boost in nitric oxide levels that will actually make a difference in your blood pressure, beetroot juice is your best option. Drinking just 250 ml of beetroot juice daily can lower your blood pressure by about 8/4 mmHg (8 points on the top number, 4 points on the bottom number). It will also reduce arterial stiffness and thickening of the arteries. If you don’t like beetroot juice, look for a nitric oxide enhancing supplement that has beetroot as a main ingredient. 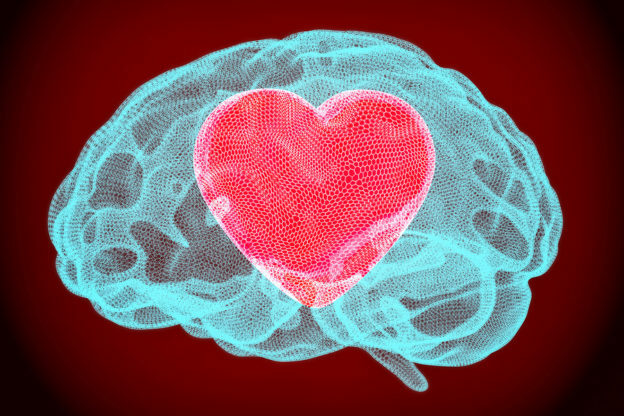 Higher Blood Pressure May Be Linked to Brain Disease, Alzheimer’s. Press Release. American Academy of Neurology. July 2018. Carnevale L, et al. Brain MRI fiber-tracking reveals white matter alterations in hypertensive patients without damage at conventional neuroimaging. Cardiovasc Res. 2018 Jun 12.